Last week, we trained all 167 resident advisors (RAs) in suicide prevention through our Campus Connect program. 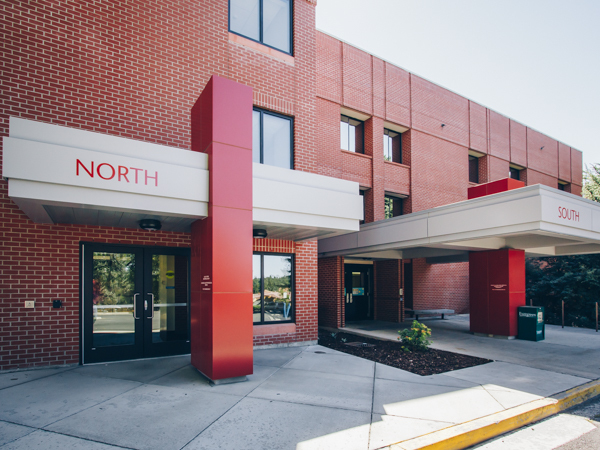 Campus Connect is the Suicide Prevention Resource Center (SPRC) best practice program we chose for educating Cougs about suicide and how to respond to someone in crisis. 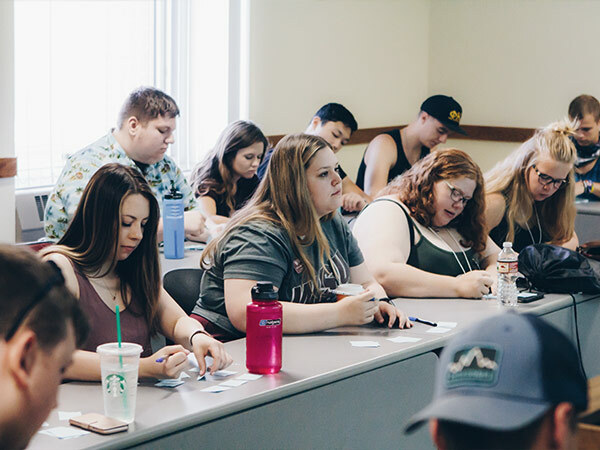 Campus Connect participants learn about the warning signs for suicide, how to refer someone to appropriate care resources, communication and relationship building skills, and how to ask someone if they’re having thoughts of suicide. Returning RAs who’ve previously attended Campus Connect took a refresher course to ensure they’re up-to-date on best practices in suicide prevention. These students also shared about their experience with implementing what they learned in the previous year and how we can improve our program in the future. 90 percent of new freshmen live on campus, and RAs play a key role in helping new students transition to college life. While there are many challenges new students encounter, some may struggle with thoughts of suicide. When all RAs take suicide prevention training, we’re able to help connect students who need help to the appropriate care resources. We’re extremely proud of all our RAs and the broader WSU community’s commitment to suicide prevention and mental health promotion. Since its implementation last year, over 460 WSU staff and students have taken Campus Connect. Are you interested in helping a student in crisis? Sign up for Campus Connect or Mental Health First Aid. Knowing the warning signs for suicide can help you notice if someone you care about is at risk for suicide. 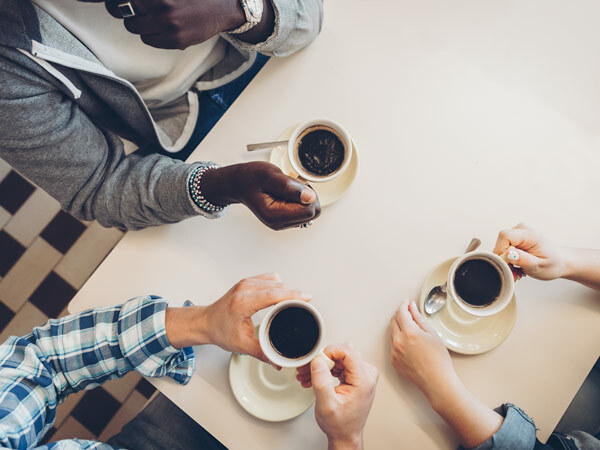 When you’re familiar with these signs, you’ll know when to be concerned and you’ll feel more confident in your ability to help someone who’s struggling. Warning signs for suicide are not black and white. Everyone is a little different and it’s possible for someone to experience some or all of the typical warning signs. The key to noticing warning signs for suicide is to look for changes in a person’s mood or regular behavior. These changes are often most apparent to close friends and family members. These warning signs are provided by The Jed Foundation. Asking someone if they’re struggling with thoughts of suicide won’t put them at risk. And most importantly – it creates an opportunity to offer support and share resources. Try to not let the fear of a “yes” answer prevent you from asking someone about thoughts of suicide. If this happens, be sure to get appropriate professional help. Counseling and Psychological Services or the National Suicide Lifeline can provide support or if it’s an emergency, you can call 911. It’s okay for you to feel uncertain about what to say or do when someone expresses that they’re having thoughts of suicide. But the best thing you can do is to get help right away, and stay with them until appropriate care resources are present. If someone answers “no,” but you’re unsure about their response, try to offer support resources like Counseling and Psychological Services. You can also try reframing your question or check in with that person later. If you want more information about how to help someone who’s struggling with suicide, please sign up for our suicide prevention training, Campus Connect. Your student health fee enables Health & Wellness Services and Counseling and Psychological Services to offer a comprehensive suite of services in one convenient on-campus location. Your fall 2017 health fee eligibility starts today! If you’re enrolled for the fall semester, you can begin accessing our services and programs. One medical clinic office visit per semester, which covers the face-to-face time spent with a health care provider only. This excludes comprehensive physicals, specialty visits to Behavioral Health or the vision clinic, procedures, immunizations, and travel clinic. Charges for additional services will be billed to your insurance. Don’t have insurance? Call us and get help from our certified health insurance navigators. We also offer a financial assistance program for students who need help paying for medical services at our clinic. For details on costs for services and insurance companies we’re contracted with, visit our billing page. As always, don’t hesitate to call our billing staff at 509-335-3575 with any questions about costs and insurance!